Please the attached information from a neighbour. We will visit six majestic bur oak trees that will be coming into leaf. Learn how Champlain Park ‘hood has managed to get a provincial designation for these heritage trees—to date, the only such designations in Ottawa. Discuss and strategize on ways to ensure heritage trees and all our natural heritage are recognized by the City of Ottawa as it reviews its tree by-law in 2018. 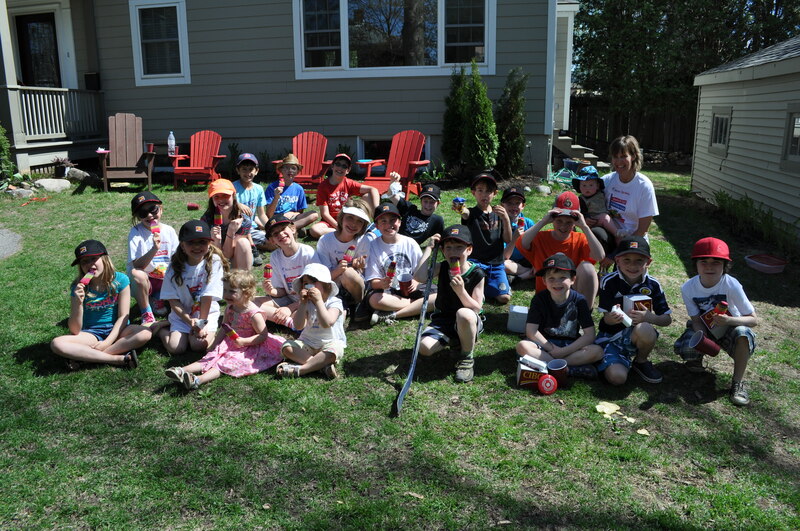 Meet at Champlain Park, 149 Cowley Ave. Ottawa, near the fieldhouse. From there, we will walk south on Cowley to visit the first bur oak. We will walk west on Sunnymede Ave. and visit two bur oak trees on Keyworth Ave. Our next stop will be two bur oak trees on Daniel Ave. The final stop will be at the bur oak located on Clearview Ave at Patricia. Three of the trees are located in backyards where access to the yard involves driveways with some slope and grassy, uneven terrain in the yards. Debra and Daniel are animators for the Champlain Oaks Project, which was launched in our small enclave within Kitchissippi Ward in 2010. Our neighbourhood project aims to protect and celebrate these massive bur oak trees that have grown in this part of the city for centuries, from acorns planted by squirrels and blue jays! Just an FYI that fake donation boxes have been found in Westboro, most recently by the development site at Kenwood and Churchill. Call the City (Road By-Laws) at 311 if you see one and they will remove it. 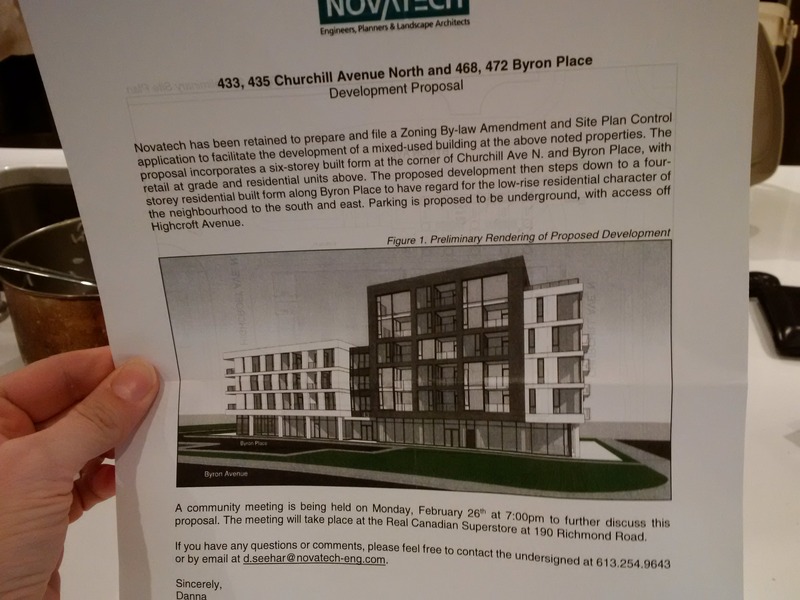 Please see the attached flyer about a proposed 6-storey mixed-use development on the corner of Highcroft Avenue, Byron Place and Churchill. The WCA would like to share this request from a family in our neighborhood. Please email us if you’re able to assist and we will put you in touch with them. Thanks in advance! Hello, our family is friends with a family of Syrian refugees who have settled in Gatineau. I am looking for donated skates for them, especially for their 9 year old boy (shoe size size 3 or 4) who is very keen to skate. Their 7 year old (size 2ish) and 12 year old (women’s size 7) daughters, and 3 year old boy would also like some. I think skates are sized about one size below shoe size. If anyone has anything to donate that would be great. Thank you! 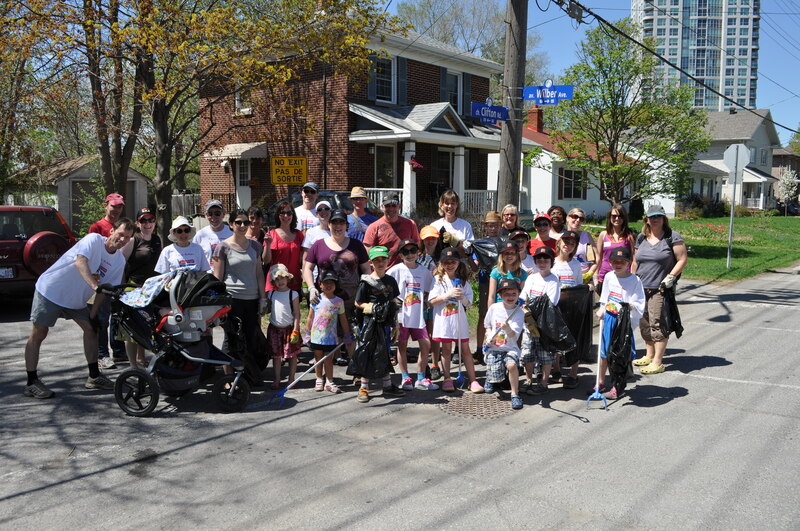 volunteering their time during the Spring Cleaning the Capital campaign.